Growing up in Miami far from any cultural connection to Asia, Jennifer Garcia ’09, MA ’11, became enchanted with the hit Japanese anime TV series Sailor Moon. At the time, she didn’t really know anything about this special genre of animation, nor was she familiar with Japan’s vibrant pop culture. Instead she was drawn to the series’ heroine, Usagi Tsukino, and its portrayal of magical girls who use their powers to thwart evil. She wondered if there were other cartoons like Sailor Moon. Eventually, Garcia found a store in Miami that sold original and unedited Japanese anime comic books and videos. That extracurricular interest grew and by the time Garcia was ready for college she knew she wanted to study Asia, and specifically Japan. She found all she wanted and much more at FIU, eventually earning bachelor’s and master’s degrees in Asian Studies. What made her FIU education particularly rewarding, she says, were the opportunities Asian Studies provided for her to live and study in Japan. Many are drawn to FIU’s popular Asian Studies degree programs for the same reasons. Students often fall into two camps, says director Steve Heine: they want to study Japan for its culture or they want to study China for its economy. They can do both in FIU’s Asian Studies Program, a robust contribution to FIU’s international offerings that boasts undergraduate and graduate interdisciplinary degrees, established study abroad and internship opportunities, comprehensive foreign language study, the publication of an academic journal, numerous conferences, workshops and community events. The program continues to expand based on student demand. The growth of Asian Studies has been supported with more than $2 million in grants from the Japan Foundation, the National Endowment for the Humanities, the U.S. Department of Education and the Freeman Foundation. A $275,000, four-year grant from the Japan Foundation has enabled FIU to fund faculty research and travel in Asia, the expansion of the Asian studies collection at the library, workshops and guest speakers. The grant also helps support the Japan Studies Review, a peer-reviewed academic journal published jointly by Asian Studies and the Southern Japan Seminar. When the BA in Asian studies was introduced in 2002, Heine projected an enrollment of 30 students. Today, Asian studies enrolls 150 undergraduates, plus 200 minors and certificate students. The seven-year-old master’s degree program has 25 students and is graduating eight to 10 graduate students each year. Heine has recently put forth a proposal to develop a Ph.D. program in the future. Graduates of the program are working in a variety of places from the Japanese consulate, to museums to U.S. federal agencies that seek multi-lingual area studies graduates. After earning her master’s degree, Garcia spent two years living and working in Japan as an English teacher. Asian Studies is intentionally interdisciplinary with 16 faculty members in language studies, literature, sociology, religion, art, history and international relations. Around 400 students a year are enrolled in Japanese and Chinese language courses at FIU. Heine, who founded the program and has guided its growth, is among the nation’s most respected scholars of Japanese Buddhism. During her time in Asian Studies, Garcia was awarded scholarships that allowed her to study abroad in Japan twice, solidifying her decision to live there in the future. The transition into Japanese culture, a topic that is the subject of many books by American travelers, was a smooth one, Garcia said, because of her coursework at FIU. She had taken Japanese language for four years, studied the tea ceremony, learned about race relations and pop culture in Japan. 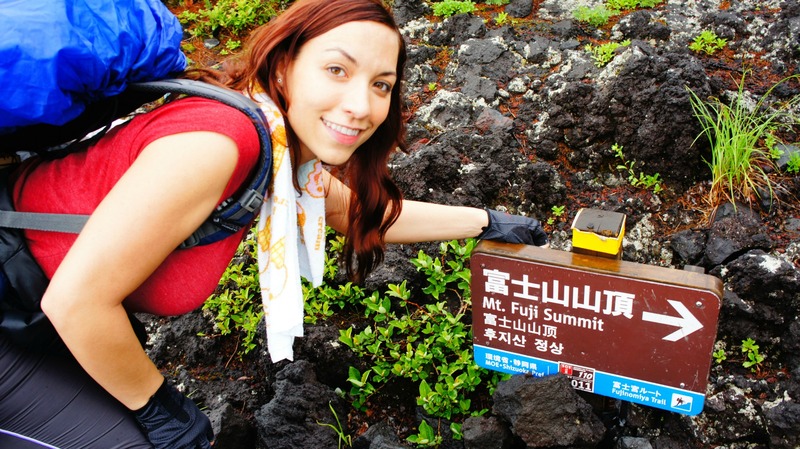 Garcia found that her knowledge of Japanese culture opened doors to new experiences and friendships.